IMPRINT: Bibliocast is an imprint of Word Keepers, Inc. Word Keepers is dedicated to new and seasoned authors with socially conscious voices. Our intuitive publishing team imbues skills that hold sacred the space for books to come to fruition through mind and heart. Word Keepers, Inc. is a supportive, niche publishing house serving authors, books, publishing professionals, vendors, and a global community of readers... all within an atmosphere that celebrates and honors individual uniqueness. 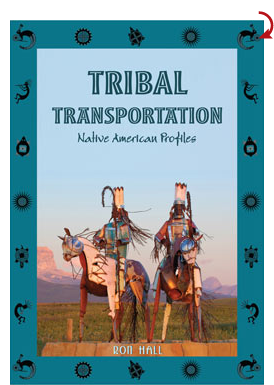 ABOUT THE BOOK - Tribal Transportation: Native American Profiles by Ron Hall - Helping at home is a constant theme for the Native Americans in this book. That core theme is the driving force in their lives. Each Chapter Author has a commitment to improving the transportation infrastructure of tribal lands and communities through tribal self-determination. It is equally compelling to note that helping at home is not an easy task, and while Native communities are unique in many ways, local resistance to change is virtually universal. Improving local conditions means change. Change is difficult to accomplish even when the end result is a dramatic improvement to the quality of life for the people you love and cherish. For academic and trade book readers, a collection of stories from tribal leaders who embraced change through leadership. ABOUT THE AUTHOR - Ron Hall leads an active life filled with new and engaging challenges. Whether it is rediscovering golf, road cycling in the Rocky Mountains and foothills around his home in Fort Collins, Colorado, outwitting the bugs and drought that assault his garden, being a father and mentor to his two sons that are recent college graduates, being an engaged and connected partner to his wife of 28 years, running a consulting business that undertakes grassroots strategies to support tribal initiatives, or directing a program that addresses the transportation infrastructure training and education needs of tribes in the Four Corner States and across the country, Ron is constantly on the go and learning more than he teaches. Being an enrolled member of the Mandan, Hidatsa and Arikara Nation in North Dakota, and raised in the northern plains in the 60's and 70's Ron has appreciated the warmth and security of a strong family and questioned the issues that arose on a personal, community and regional level between Native Americans and whites. He attended primary and secondary school in Mobridge, South Dakota. The dynamics of a reservation border town and the tribal communities challenged Ron to understand his experience that there are incredible loving people in both communities, and a few that are not so good. Why are poverty and difficult social issues associated with Tribal communities? As he walked in both the Native and White worlds the lines of separation became more apparent with each year. These questions lead Ron to study Sociology and Criminal Justice at Augustana College in Sioux Falls, South Dakota. From there he studied law at William Mitchell School of Law in St. Paul, Minnesota. Since then he has sought to build on the strengths and opportunities that exist in tribal communities and facilitate engagement and cooperation with federal, state and local governments and communities. Adult readers interested in environmental themes and political themes of Native American leadership roles in the importance of reservation infrastructures for the safety, welfare, and quality of life in efforts to protect and preserve our natural environments, all woven into the current profiles of Indigenous Peoples of North America.